To claim your Shiny Zygarde, load up your copy of the game (these instructions apply to either version). Now select 'Mystery Gift' on the main menu, then hit 'Receive Gift'. Next, select 'Get via Internet', then tap 'Yes'. Finally, speak to the delivery person in any Pokémon Center to receive your Shiny Zygarde (just be sure to save your game before you finish up). The day paid dlc legendaries and shinies are a thing is the day that humankind has achieved perfection. Given how hard its been to get this thing shiny, which has never been available before, I'm interested. Makes one wonder how it will interact with the Zygarde cube though...can you break this one down and if so would it retain shininess if reassembled? @DrJoson Well in both S/M and USUM you either do a huge sidequest or a post-game battle with Zygarde. In this case, it's not a freebie legendary as is, but rather the first release of it's shiny form. For some reason, it's been shiny locked in the actual games. @pokefanmum82 - I think you're right. According to other sources like Gamespot, US/Canadian players need to go to a retailer. Thank god I don't have to wander down to game. They aren't great. @DrJoson This a million times over. I think the way they handle 'special' pokemon nowadays is the most banal thing. Death by proliferation! @DrJoson I agree. They don’t seem special at all when they give them to you and everyone has it. Having to go to Gamestop makes it even worse. @shaneoh That's UK website, which mean downloadable content is still only for Europe/Australia, afraid so! Please gamefreak, just....just let this be a internet mystery gift globally...what a bunch of dinguses. I wonder how much gamestop/EB are paying them. Anyhow, I don't mind these events so long as you can obtain them normally in game. What I do mind is if you can't get them in game normally ever(looking at you volcanion, magearna and every gen 4/5 mythic). Ultra space was a great way in USUM to give people access to catching legendaries, but I wish it encompassed ALL of them plus all mythics too. I need a lot of things to complete the pokedex. @hirokun Mythical Pokemon dont count towards Pokedex completion. Dang do I miss event items/Pokemon that unlocked different areas/in-game events. @hirokun And I don't even HAVE a GameStop in my area anymore! I just want the gold bottle cap. I don't care about the Zygarde. That goes to show how much I like Hyper training, but resent how bloody rare bottle caps are. Cool that it’s finally released as a shiny, but annoying that it has Aura Break rather than Power Construct. Wonder if they’ll ever release 10% or 100% as a shiny. @YummyHappyPills It's got Aura Break, so no. Aura Break Zygarde can't become 10% or 100%, as it's permanently stuck in 50% mode (the other ability gives it the ability to assimilate Zygarde cells). @marandahir That's not what I mean. It only gets Power Construct if it has all 100 cells in it. But any Zygarde can be broken down into the Cube. @Pokefanmum82 it says in the article that you receive it by tapping the "get via internet" option. No, you get it by going to GameStop. @VioletSilver but according to the US version of the Pokémon Legendary website and Serebii it says that you have to go to Gamestop to get it. It’s only in Europe and Australia that you get it over the Nintendo Network. Even Canada has to go to EB Games Canada. I did my research and went to the official website as someone previously said in a comment. I'd rather they distributed through Mystery Gift Pokémon that are otherwise unobtainable at all, rather than shiny versions of mons that everyone already has . I can't get Marshadow to complete my collection of all alternative forms of all 806 currently released Pokémon. They did it for Magearna but now instead they only distribute it through stores that are never in my country/area, and where even if you went to pick your code card, people before you may already have snatched whole stacks of those. I've seen people with 50 Marshadow cards putting them up for trade for good stuff in exchange while common mortals have no way to get any. Okay, after re-reading the Bulbapedia pages, it's clear that I was absolutely confused about how Power Construct works. 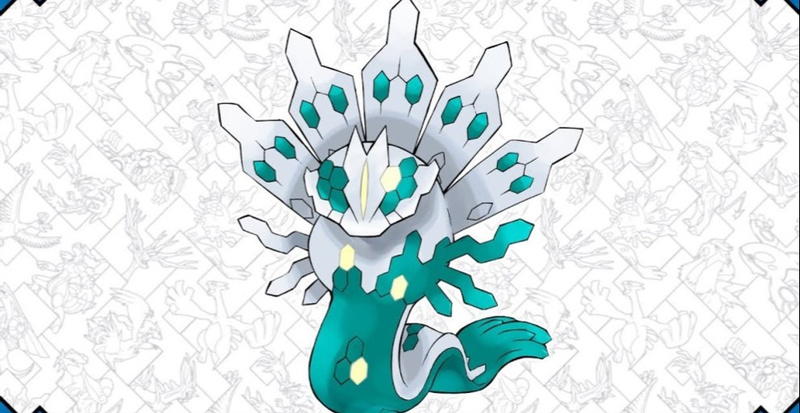 But yeah, def do not dissolve this one into the Zygarde cube, or else you lose the shiny-ness. SOMEONE PLS HELP ME THIS DOESNT WORK FOR ME I LIVE IN THE NETHERLANNDS AND TRIED IT MY THREE GAMES PLSS HELP IM DESPERATE!!!!!!!!!!!!!!!!!!!!!!!!!!! !